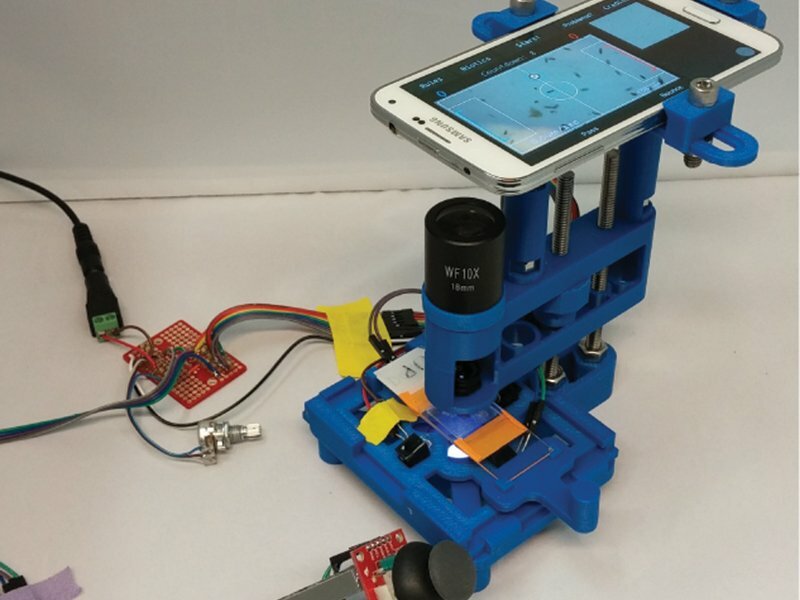 With This Smartphone Microscope, You Can Play Soccer and Pac-Man With Microbes #makereducation « Adafruit Industries – Makers, hackers, artists, designers and engineers! Incredibly impressive build from Stanford engineer Ingmar Riedel-Kruse. The open-source, 3D-printed, smartphone-integrated microscope is the brainchild of Stanford engineer Ingmar Riedel-Kruse, who developed the device in a quest to find new ways for students to interact and learn about the microscopic world that surrounds us.